Congratulations Killerfish on another well-deserved review! Now, you can’t keep us waiting much longer? Can you? Tell us about the new game pleaseeeeee!!!!!!!!!!!!!!!!! Sorry to get impatient, but when will you announced your next title! Sorry to get impatient, but when will you announced your next title? I think the killerfish team also do the roadworks in the uk…..
Haha, more like the US. They have been working on I4 for years now. 6 out of 7 Comments asking about the next Game. Sounds that it is not far away from playing the new game as well! How excited I am now. Yaaay! Hopefully it would be out before 2017! But to be honest, the devs should take as much time as they want. I like great games with great detail that takes alot of time to develop over games with lacking detail pushed out prematurely. I hope it will be soon.Pls don’t do what wargaming has done. They always say very soooooooooooooooooooooooooooooooooooooooooooooooooooooooooooooooooon. Gib Queen Elizabeth before her 1930s refit. Just hope it’s Not modern ships there ugly triangle shaped computer missile things no class at all.like a digital Rolex nooooo. Ww1 would be good but I’d like the current gaming style kept if it’s like world of warships I don’t think I’d even try it it’s not my cup of tea. What I want what I really really want apart from a ziga ziga is the current platform with a few extras basically other navies not just American vs Japan or uk Germany etc but Yamato on the same screen as hood & Montana vs lion nation vs nation so it’s maximising the playability options on a skirmish mode.then yes realistic missions are nice but this doesn’t have to be too real a skermish can have h44 vs 2 Roma class etc.thats where the repeat go back to the game is after you have finished the Atlantic modes etc. I’d like to see a Mediterranean Fleet. Not really, if you think about all that happened in that theatre: Attack on Taranato, Cape Matapan, Malta convoys… Sure it wouldn’t be as massive as Alantic Fleet, but it could still be great. Killerfish, how many people do you have developing the game? I’d like an off mode for planes I guess that’s another reason for ww1 choice. The whole battleships fighting it out was ruined by planes which is accurate but it’s still a step away from battleships & guns to planes & missiles which is not so fun. I know there is an element of fun in it but it’s annoying & you can feel battleships becoming pointless towards the end of the war.again that’s accurate but I’m a big gun war machine fan. If they are now taking screenshots of the new game, I guess the game has been developed to 80% completion right? It’s a nice thought but that is unlikely. 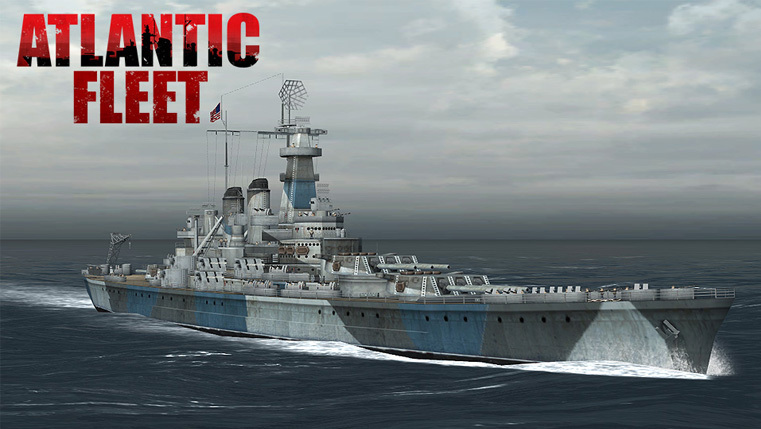 Atlantic Fleet was announced in July of 2014 and wasn’t released until May of 2016. A couple of months ago they said announcement in a week or so..
Screenshots being taken a couple of weeks ago. Things happen… Don’t take ETA’s as a solid statement as to when something will be announced/released. I’m hoping they announce something soon. I can be patient and all,I’m just wondering why it’s taking so long. Same here, I know they went through a delay but taking “screenshots” shouldn’t take all that long. is this new game gonna be in the pacific? if so, are we going to get armored carriers? Killerfish, it’s been 18 days since we have heard anything. I know you have your own personal lives but it doesn’t take 18 days to get some screenshots. That’s what I am thinking as well, though I hope not. I am not asking them to rush and I have been quite patient. I have just been worried the delays. Anyone agree with the suggestion that Q ship should be added to atlantic fleet as well? Do keep in mind that the delay is in the timing of announcing the title and launching the Greenlight campaign, it is not a delay in ongoing development which continues as normal. Once we do get the game announced, it will be in a much more final looking state and that much closer to actual release. Oh,glad to know that there’s no serious problems in ongoing game development. Ok, I am relieved to know that there is not a problem. Good luck and sorry if I was being rude, I am really excited! But a dream I had last night after playing a bit late braught it home to me a bit what we’re all playing. I was in a room with my friends we were locked in by our boss who we all trusted. He said he was in there with us & as the banging & explosions got louder our faith eroded into panic in some cases in the pitch black in the end they were friends crawling over friends scratching there skin as they tried to get higher to the air & to where the top of the room was but now it had turned maybe it was the wall as the ship rolled but there was no light just screaming & men almost kids scratched the walls & in disbelief that there lives just started were now a desperate death in a steel room in pitch black.many did this with already horrific injuries. Great game but Its not in reality unlike playing the mad gunner in an unarmed teenagers army training camp.i know it’s a game but it’s horrific the reality of the hood sailors & Bismarck crew. Actually put yourself there & next time you sink a ship you think…gosh…I’m rein acting a disaster in human life.. I was on the kyarra wreck this weekend & digging in the hold 30 m down I came across a shoe…. It’s a fun game but let’s remember war is the worst thing & remember the sacrifice in them ships…it was real…. I hope it’s ww1 based. Still any annocumeent will be appreciated. Also is there a way to win as the German navy after December 7th 1941 with the 700,000 ton requirement? I have been play BOTA in hard mode and I’m at 611,000 tones with half a year left in the game. But it’s quite easy before that. What platform(s) is the next game going to be available on? Your Facebook page makes it sound PC only. Also it mentions Greenlight for Steam in their latest post… damn. The video is on youtube its called cold waters omg killerfish u r the best!!!!!!! Actually, does anyone realize that Bismarck in Atlantic Fleet is missing torpedo tubes? Tirpitz had torpedo tubes but not Bismarck.